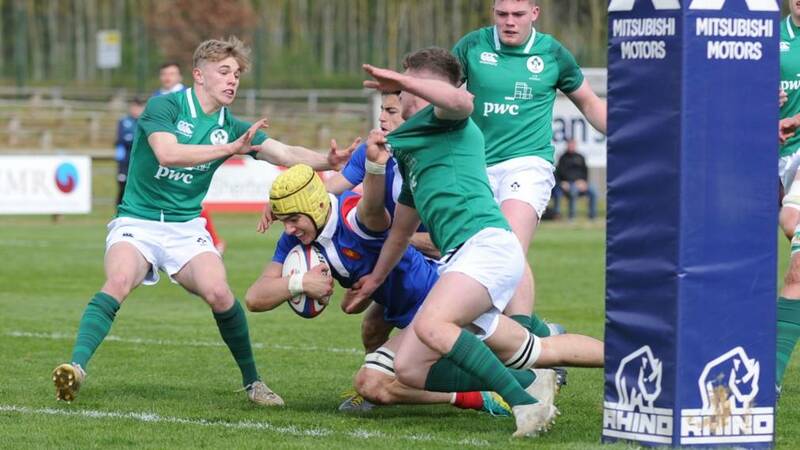 Maxime Baudonne scored two tries as France U18 held on for a 29-24 victory over Ireland in their opening game of the U18 Six Nations Festival. The flanker crossed once in each half as France ran in five tries in total, but they had to withstand a ferocious Irish comeback late on. France made a fine start, dominating possession in the early stages and showing plenty of threat with ball in hand. On almost their first incursion into Irish territory, fly-half Gabin Michet put in a beautiful wide pass for full-back Alexandre Borie, who then stepped a couple of defenders on his way over the line. In windy conditions, Nolan Legarrec could not convert as the ball was blown from the tee after he had started his run-up. Michet was at the heart of the second try, putting in a clever chip for flanker Baudonne, who claimed the ball brilliantly before handing off Chris Cosgrave on his way to the line. Legarrec had no such issues from in front with the extras. Ireland had barely touched the ball, but finally got some territory and they made it count. After an overthrown lineout, Les Bleuets strayed offside and from the resulting penalty skipper Alex Kendellen tapped and went, forcing his way over. Cosgrave converted impressively in the conditions to make it 12-7. Having spent a few minutes under pressure, France responded with their third try, made by the snipe of Legarrec. He burst into Irish territory, the ball was quickly recycled and Michet found Simon Desert who fed inside to Thomas Ployet who got over. Legarrec was off-target with the conversion. Then from close range it was Baudonne who got another, proving unstoppable after receiving the ball a yard out. That was the last score of the first half, with France going in 22-7 to the good. Ireland made the better start to the second half, with Cosgrave slotting an early penalty after Baudonne was penalised for holding on. France had their fifth soon after though. Borie almost got it with a brilliant break and chip over the top which he collected. He was stopped just short of the line though. From the resulting scrum, Killian Tixeront fed Legarrec, who dummied and crashed over. Michet took over kicking duties and slotted the conversion to stretch the lead to 29-10. Baudonne had been a standout for Les Bleuets, but after a succession of infringements he was sent to the sin-bin. With the extra man Ireland got over for their second try, Tom Stewart the man to dot down after a rolling maul. Cosgrave again converted. Ireland still had plenty to do to get back into it, but Cosgrave almost finished a brilliant move when he was put away by Jamie Osborne. The cover defence got back, but with five minutes remaining they could not do the same, Osborne finishing on this occasion. Cosgrave’s brilliant conversion made it a five-point game. 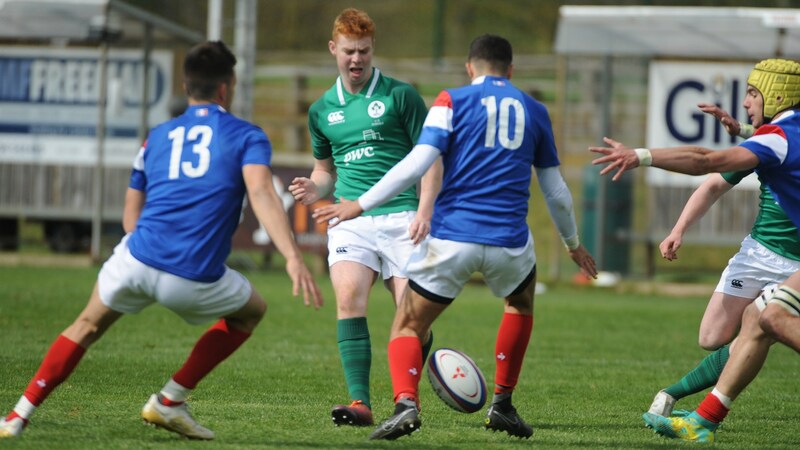 Ireland got the ball back on a couple of occasions late on, but could not create a try-scoring opportunity as Les Bleuets sealed an opening success.